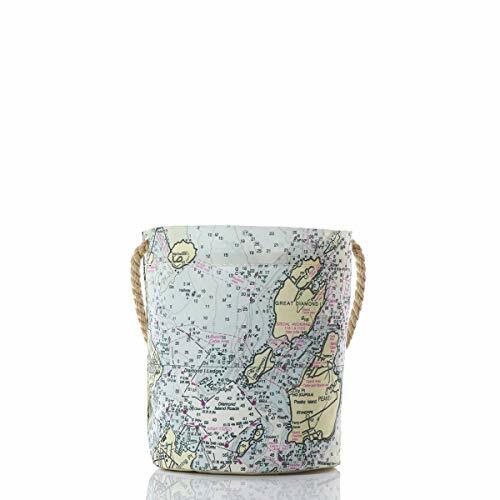 Whether you live on the coast now or dream of visiting, the Casco Bay Nautical Chart Bucket Bag is a great maritime accent. These versatile bags are a modern take on the basket: creative customers continue to invent new uses for them, from apple picking pails to hand towel holders to centerpieces that display plants and flowers. Hemp hand-spliced rope handle. Spot clean or machine wash. Dimensions: 9.5"h x 7"w. Handcrafted from recycled sails on the working waterfront in Portland, Maine, USA.